The Frightnrs have plenty more to say here – and they say it in a really sharp-edged approximation of older rocksteady modes! The group are contemporary, but like the best acts on Daptone, they've got an instantly classic feel – thanks to instrumentation and production that take us right back to late 60s Kingston, but with some of the sharper funky currents we've come to expect from the label! 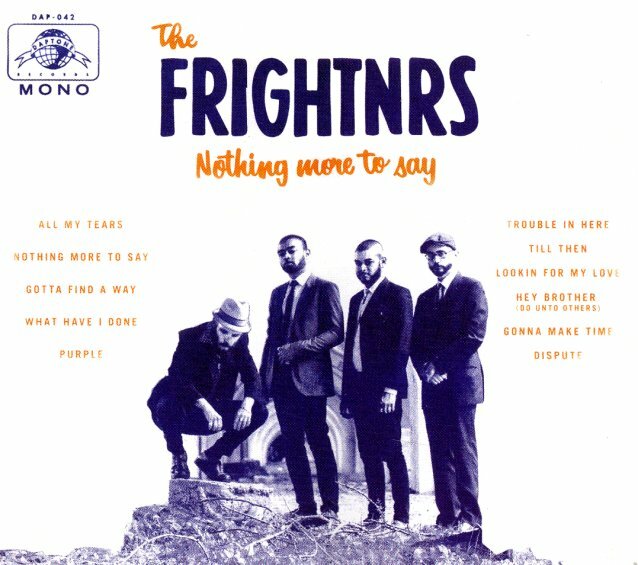 And while The Frightnrs may pitch themselves as an old school reggae act, they're also one that have a heavy dose of soul – almost a late night New Jersey current to their music at times – as if the All Platinum/Stang label put out their own version of Jamaican soul. The approach is great, and very unique – and titles include "Hey Brother", "Gotta Find A Way", "What Have I Done", "Nothing More To Say", "All My Tears", "Purple", "Dispute", and "Till Then". © 1996-2019, Dusty Groove, Inc.